Advancing care and improving lives. Imagine a day when you’re no longer spending months searching for a treatment that works for your depression. Imagine a day when your brother’s symptoms of mania aren’t so severe that he has to be hospitalized yet again. Imagine a day when a diagnosis of autism doesn’t deter your adult child from anything life has to offer. Here at Sheppard Pratt, we’re turning those imaginary days into real days. 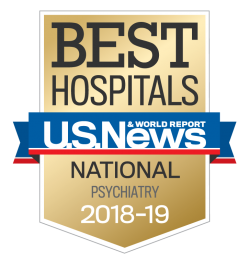 Our world-class investigators are changing lives daily, identifying new and effective ways to treat some of the most common mental illnesses. Sheppard Pratt was one of the first sites to use transcranial magnetic stimulation (TMS) to tackle treatment-resistant depression. It was here that we showed that probiotics can reduce hospitalizations in individuals experiencing mania. We are the home to some of the latest research on vagus nerve stimulation, a treatment that has been working for some of the most depressed individuals. And, we are bringing research directly from bench to bedside, integrating life-changing research into compassionate clinical care every single day. What are the results of research at Sheppard Pratt? New uses for technology and medications. Increased knowledge of common and afflicting psychiatric disorders. Exceptional patient care. Lives changed for the better. From participating in a clinical trial to collaborating with Sheppard Pratt as a researcher, there are many ways to get involved.